Wenn es nicht Neil Gaiman und Amanda Palmer wären, wäre das Cover schon Grund genug gewesen diese Album zu kaufen. Scherenschnitt mit Tardis. 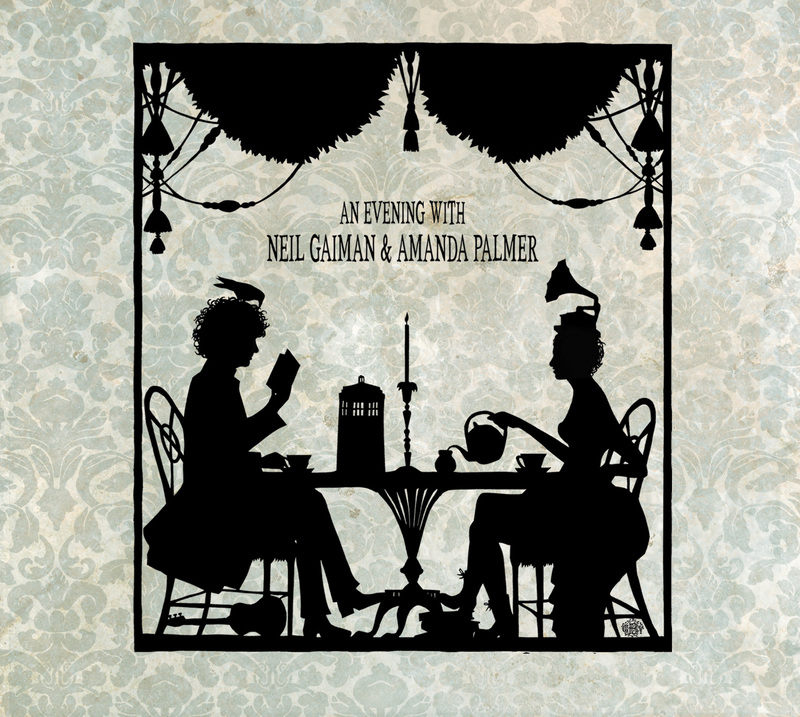 Das ganze Release ist ein Zusammenschnitt der Tour dieses Ehepaares unter dem Titel "An Evening with Neil Gaiman & Amanda Palmer". Vollgepackt mit Anekdoten, Gedichten und wunderschönen Liedern. Zwei großartige Künstler auf einer Bühne. Und dann releasen sie das ganze auch noch unter der Creative Commons Lizenz. Amanda Palmer hat die Sache mit der Musikindustrie eh begriffen. Und ich bin dankbar dafür. this store is built on a “pay what you want” philosophy for my digital music. i firmly believe in music being as free as possible. unlocked. shared and spread. i believe that in order for artists to survive and create, their audiences need to step up and directly support them. honor system. no judgment. if you’re broke – take it. if you love it, come back and kick in later when you have the money. once you have it, SHARE SHARE SHARE! COPY COPY COPY! SPREAD THE EVIL!!! we are the media. I also release all of my music and writing using the Creative Commons “Attribution-NonCommercial-ShareAlike (CC BY-NC-SA)” license. If you want to understand what this means, google Creative Commons. Das ganze könnt ihr euch hier klicken.